You guys, I met Robb Wolf! Phew! I’m so glad I got that off my chest! I owe you’uns a life update! Within the span of 3 days, I met Lori Lange (from Recipe Girl), Charles Mayfield (co-author of Paleo Comfort Foods and Quick & Easy Paleo Comfort Foods), AND Robb Wolf (author of The Paleo Solution). Insert all the party emojis here. How did this come to be? About a month ago, Natural Grocers reached out to me to see if I would join them for their soft opening of their new store in Reno, NV last Saturday. Of course, I was all, “hell yamaha, I wanna go!,” and so I did. Which is when I met the very lovely Lori Lange (who also lives in the area) and Charles Mayfield, who wrote two Paleo cookbooks alongside his wife, Julie Mayfield. 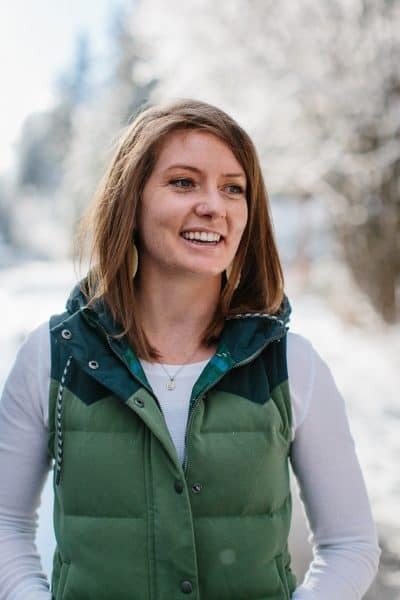 The soft store opening was an informational session on Natural Grocers the company, as well as a meet-and-greet for locals in the food and fitness industry. Following the discussion, Lori, Charles, and I perused the isles chatting about the products that we love slash wanted to try. You know, like business as usual. Except, in my head, I was all, “Ohhhmygeerd, I’m legit hanging out with Lori Lange and Charles Mayfield right now!” It was puh-retty epic speaking with two people I very much admire. Tuesday evening, Charles gave a cooking demonstration, and Robb spoke about the Paleo diet, discussing the reason why humans have so many health issues arising from a diet rich in grains, legumes, processed sugars, and dairy. I wholeheartedly believe in the you are what you eat mantra, and was once a devout Paleo eater myself, so I highly recommend Robb’s book and Charles and Julie’s cookbooks. These are fabulous resources for overall health and well-being. After the demo and discussion, Charles and Robb held a book signing, at which point I offered some of the kombucha I was drinking to Charles. As though we were the best of pals that go way, way back. Because that’s normal and not at allawkward, right? Right! He politely declined, and I collected my freshly signed books and marinated on the awesomeness of the experience. Given the fact that I just met two of the largest proponents for gut health (and offered one of them a swig of probiotics), I thought it only appropriate that I share the recipe for my most recent batch of kombucha. Last year, I showed you a recipe for Apple Ginger Kombucha, which is a very tasty ‘bucha indeed. But I like this apple cider kombucha recipe better. Why? It’s easier. You simply stir up a little homemade kombucha with spiced apple cider, let it ferment for a couple of days at room temperature, and you end up with a probiotic-rich fall beverage. Since we’re on the topic of probiotics, did you know unpasteurized apple cider is full of probiotics, too? When you crush fresh apples or pears and allow the juice to ferment in its raw form, the natural probiotics and enzymes present in the fruit flourish, resulting in a drink that, similar to kombucha, is fabulous for your gut health. 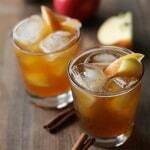 This is the perfect time of year for making homemade ciders, and there are many ways to do so! If you’re interested in the art of cider making, here’s a tutorial on fermented apple juice. Back to this apple cider kombucha! If you’re new to kombucha brewing, start here! If you’re a seasoned brewer and have a batch of ‘bucha fermenting in your closet right now, simply follow the easy peasy lemon squeezy recipe below. In a large pitcher, stir the homemade kombucha and apple cider together. Depending on the size of your pitcher, you may need to do this in batches. Pour the apple cider kombucha into sanitized sealable glass bottles (I recommend using flip-cap bottles). Seal the bottles and place them in a warm dark spot (a closet or pantry works great!) for 2 to 3 days. Transfer the bottles to a refrigerator to chill. When ready to drink, open a bottle and use a fine strainer to strain the liquid into a glass. A small SCOBY will form in the bottle, which you can strain out prior to drinking. Are you in the Reno area? If so, stop by Natural Grocers this evening at 6pm! I’ll be doing a demo on how to cook with kale. Spoiler alert: I’m making something delicious. He declined your drink?! So rude 😛 I’m all about kombucha….or maybe I should just call it ‘bucha from now on. I like that better. Sometimes I leave socially acceptable behavior behind when I go to these events. Howdy, stranger, how do you fell about germs? 😉 Get your ‘bucha on, girl! You have been one busy lady! I’ve never tried kombucha (gasp, I KNOW! ), so I think the way to start is with this one! This kombucha has such a beautiful color! Wow! So pretty for fall! Grains and legumes are mucho importante por mi dieto. <that's my Spanglish. Su espanol es muy fatastico < - I dunno, I took French in high school. Yeeeeeah, if a vegetarian told me they were going paleo-vegetarian, I'd be seriously worried. All's you need to know is Robb and Charles are great dudes who know their shiz 😉 True fact: it was actually GT's Gingerberry that I offered Charles, not the apple cider kombucha, although as you know, Gingerberry is pretty much the best kombucha on the planet. Can't win 'em all, I suppose. P.S. Let's you and I get together and brew the 'booch soon! 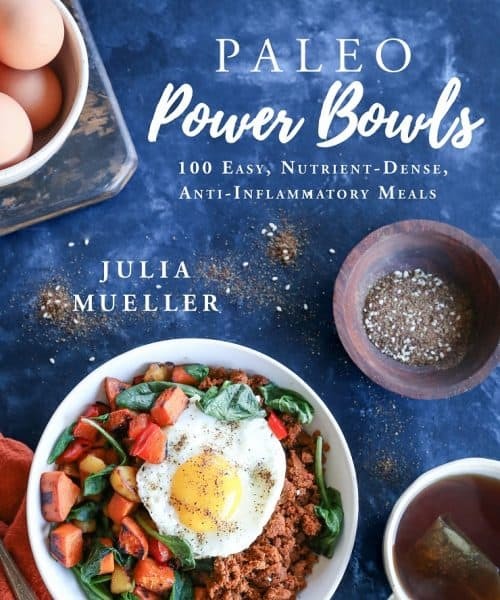 Sounds tasty Julia! 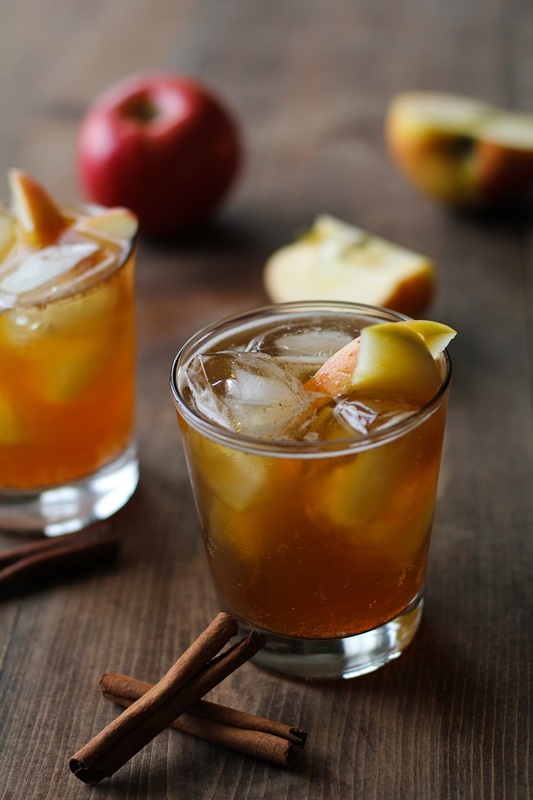 I love the sound of apple cider to give it a lovely fall flavour! SO cool! I’ve met Lori a few times before and she is awesome. Sounds like it was a great event! Oh I need this kombucha in my belly. So fall perfect! It seems interesting to me that the supposed “two of the largest proponents for gut health” refused kombucha. It kind of makes me wonder as to the health benefits of kombucha. I think the refusal was more because I had already drank from the bottle and was a complete stranger. You work at Natural Grocers! Me too! I just started brewing kombucha a couple months ago and wanted to see if there were any flavors you would recommend me making? my favorite flavor I’ve made is peach lavender! I started brewing kombucha about 3 months ago and I’ve tried an apple cider kombucha very close to this and absolutely love it! It’s got the bite of a hard cider but that sweet(ish) kombucha tea finish. It’s amazing! Hi Jason! Kombucha brewers unite! 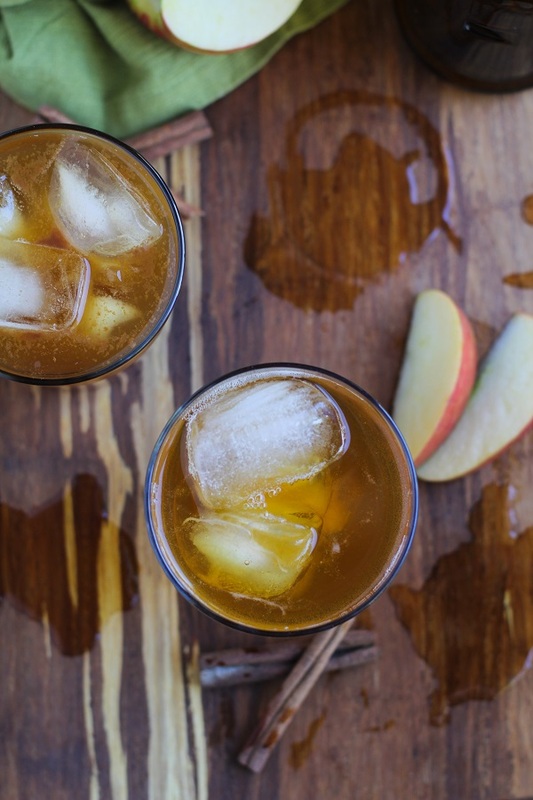 I’m so happy to hear you’ve been brewing and enjoying kombucha, and am thrilled you like the apple cider flavor – it’s definitely one of my all-time favorites! Thanks for the kind note, and happy brewing! I have unsweetened apple cider. Can I spice it to add to my Kombucha or does it have to be spiced cider? What quantities would you recommend for spicing the 3 cups, if possible? I have never put dries spices in my Kombucha before, but I am ready to try it. I just so happen to have a batch of ‘bucha brewing in my closet right now, my first one. I think I’m going to try this because i think the ‘bucha is ready. I was going to try a few different flavors. 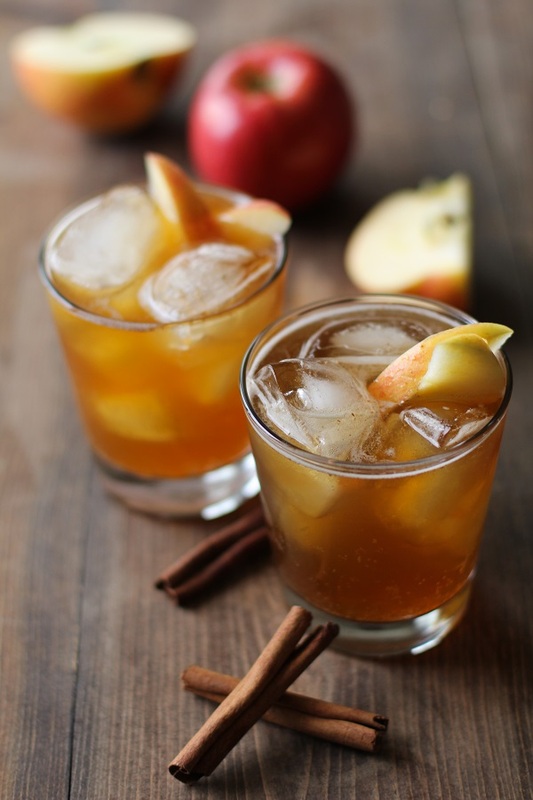 One with just apple cider, one with apple cider and ginger, and I was thinking about using jalapenos and oranges in a new flavor just to see what it’s like! Let me know what you think. I found your column because I’m looking for information on something I tried. I had a hotel full of healthy Scobies and a jug of fresh apple cider left over from a party. I filled a jar with cider, put in a Scoby and some starter tea Because why not? I didn’t use tea at all, except for the cup of starter tea. The cider has sugar and organic matter so I Was curious if it would work the same. WOW! It fermented beautifully, was tangy and fizzy, and made a beautiful Scoby. Subsequent batches with the Cider Scoby are also awesome. I like it almost better than black or green tea kombucha. I tried it with is lemonade too, but it wasn’t as interesting and the scoby got weaker over batches. Has anybody else tried fermenting beverages other than tea with Scobies?